With the help of a Patient Public Involvement Starter Grant from the NIHR University College London Hospitals Biomedical Research Centre, Dr Harriet Gliddon, an i-sense Postdoc in the McKendry group, held a consultation with people who are living with HIV to understand how i-sense research developing a rapid test for HIV viral load could be used by individuals in the home and link them to digital healthcare systems. The levels of use of digital technology varied widely among participants. Most participants owned a smartphone, however some shared one with someone else and others did not own one at all. Two in three people used some form of healthcare technology, including websites (e.g. NHS choices), social media, texts to and from their doctor and online communities. Where data security was concerned, many of the participants had concerns about their HIV status being shared on digital healthcare platforms. Most people were more willing to trust an electronic portable device, such as a smartphone, than a website with their HIV status. The word cloud shows some of the major themes that arose. It was compiled by writing up notes from the small group discussions that took place during the workshop. This patient involvement activity was very informative for the i-sense researchers who attended. The results will help shape our research moving forward, and the survey helped us to understand how the participants felt about the way in which their viral load testing is currently performed, as well as their attitudes towards digital healthcare technology. The small group discussions revealed a number of insights, which will be used to guide the technical aspects of the test. These include the importance of the test’s specificity and ease of use. Since the workshop, we have established a patient group for people living with HIV, called the i-sense Positive Patient Group. These individuals will stay engaged with i-sense HIV-related research over the coming years and help to inform our research in the future. This workshop was held at Positive East, London’s largest HIV charity. 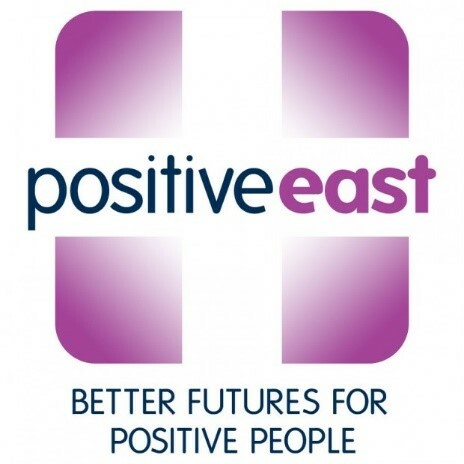 Positive East helps thousands of people living with HIV in London. They provide free HIV testing, counselling and support, housing and benefits advice as well as health and wellbeing programmes. Their aim is to help people with HIV to live full, productive lives.